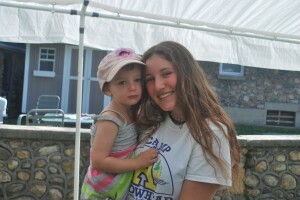 From 4 to 15, Camp Arrowhead has a program for everyone. 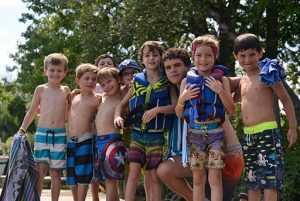 Chickadees (4 – 5 year olds), Sparrows (campers entering Grades 1 – 4) Hawks (campers entering Grades 5 – 8) and CITs (campers entering Grades 9 and 10) come together each summer to sing, play, and experience all that the camp has to offer. This is a program offered to children born in 2016 to attend camp with a caregiver. This program provides a fun and engaging ½ day program for children to become familiar with Arrowhead, participating in most of our camp activities, in an age-appropriate and safe environment. Offered four days per week (Monday-Thursday) from 9:30am – 12:25pm during weeks 2 – 7. Please note that this program is weather-dependent and may be cancelled due to rainy weather or special full-camp programs. When the program is cancelled, Friday will be used as a make-up date. *If space permits during the summer, a limited number of campers born in 2017, that are able to actively participate in the program, may be admitted to cabin ½. 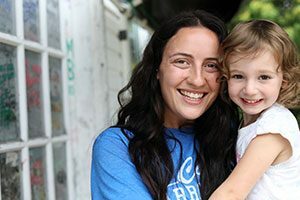 According to the Ontario Child Care and Early Years Act, every camp can offer a limited number of full day spaces for campers who are under the age of 4. 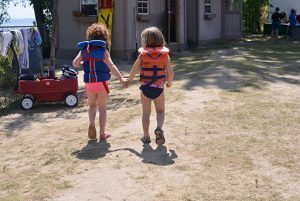 At Arrowhead, our Chickadee Under 4 campers experience all that camp has to offer under the careful supervision of our Camp Staff. Please note, according to the Early Years Act, space in this program is restricted to a maximum of 5 campers per week. Spots will be allocated according to registration date. Priority during the Early Bird Registration period will be given to Campers born in 2015 who are not yet 4 by the time camp begins. After December 25, 2018, available spots will open up to children born in 2016. For more information, please contact our Director David Finkelstein. This is for campers who have completed Grade 8. The goal of this program is to introduce our senior campers to a variety of leadership opportunities. The campers will have a chance to develop and lead programs, be on activity placements, gain valuable knowledge through training sessions and continue to enjoy the day-to-day activities that camp offers. This is for campers who have completed Grade 9. The goal of this program is to continue the development of our future staff members into leadership roles within the camp, while balancing the fun and play of a regular camp experience. The campers who join this program will participate in regular training sessions to allow them to aid in the supervision of younger campers in a cabin or group activity placement. They will also have the opportunity to participate in their own activities and team building exercises with other campers. This three-week program is a recommended pre-requisite for Junior Staff positions at Camp Arrowhead.